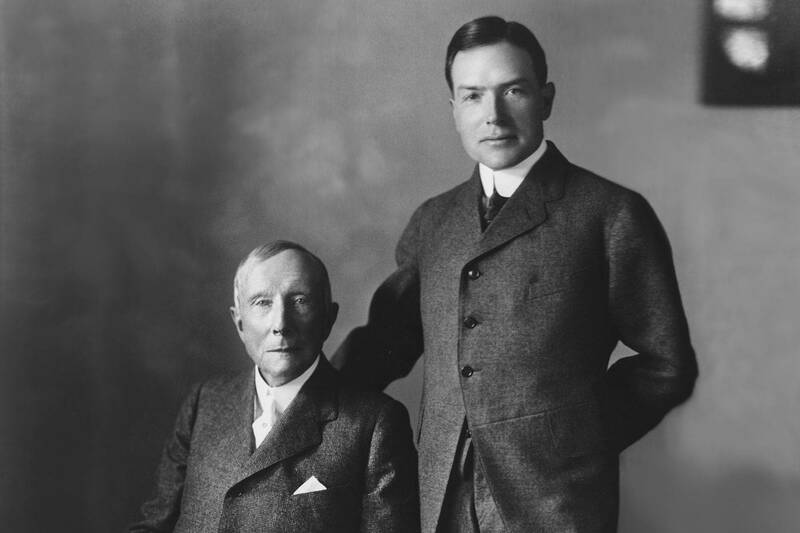 John Davison Rockefeller, Sr. and Jr. The origins of the university lie, in part, in personal tragedy. After John D. Rockefeller Sr.’s grandson died from scarlet fever in January 1901, the capitalist and philanthropist formalized plans to establish the research center he had been discussing for three years with his adviser Frederick T. Gates and his son John D. Rockefeller Jr. At the time of the institute’s founding, infectious diseases such as tuberculosis, diphtheria, and typhoid fever were considered the greatest known threats to human health. New research centers in Europe, including the Koch and Pasteur Institutes, were successfully applying laboratory science to increase our understanding of those and other diseases. Following their lead, The Rockefeller Institute became the first biomedical research center in the United States. At first, The Rockefeller Institute awarded grants to study, among other public health problems, bacterial contamination in New York City’s milk supply. 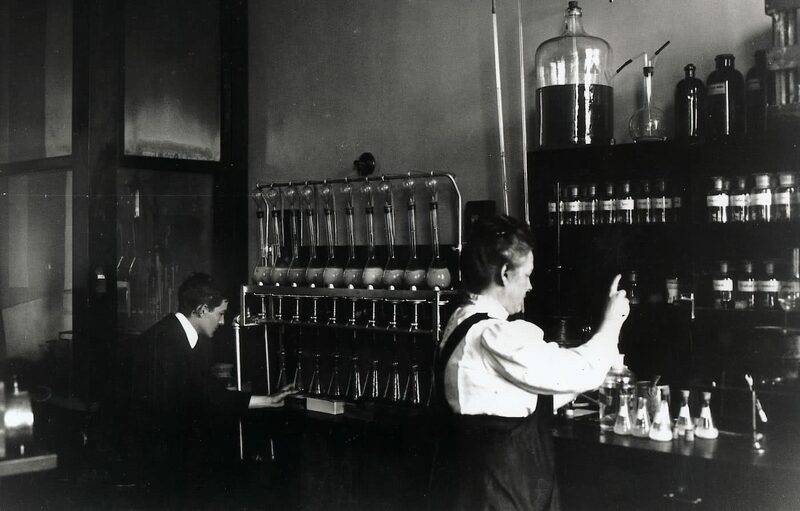 After two years in temporary quarters, laboratories were opened in 1906 on the site of the former Schermerhorn farm at York Avenue (then called Avenue A) and 66th Street. From the beginning, Rockefeller researchers made important contributions to understanding and curing disease. Simon Flexner, the first director of the institute, developed a novel delivery system for an anti-meningitis serum; Hideyo Noguchi studied the syphilis microbe and searched for the cause of yellow fever; Louise Pearce developed a drug to use against African sleeping sickness; and Peyton Rous deduced that cancer can be caused by a virus. In 1913, Oswald T. Avery came to The Rockefeller Institute Hospital to study differences in virulence among strains of pneumococcus, a bacterium that causes severe pneumonia. Dr. Avery’s research led to the development of the first vaccine for pneumococcal pneumonia, but it also led him and colleagues Colin M. MacLeod and Maclyn McCarty to make an unexpected discovery in 1944: that DNA is the substance that transmits hereditary information, a finding that would set the course for biological research for the rest of the century. Other Rockefeller researchers modernized the science of cell biology in the 1940s and 50s. Making use of the newly developed electron microscope, which provided magnification hundreds of thousands of times that of traditional light microscopes, Rockefeller scientists were the first to see inside cells. They demonstrated that the fluid inside cells, which once had been considered an undifferentiated chemical soup, contain unique structures that carry out distinct functions that cells need to live. Together, these scientists ushered the science of cell biology into the modern era. 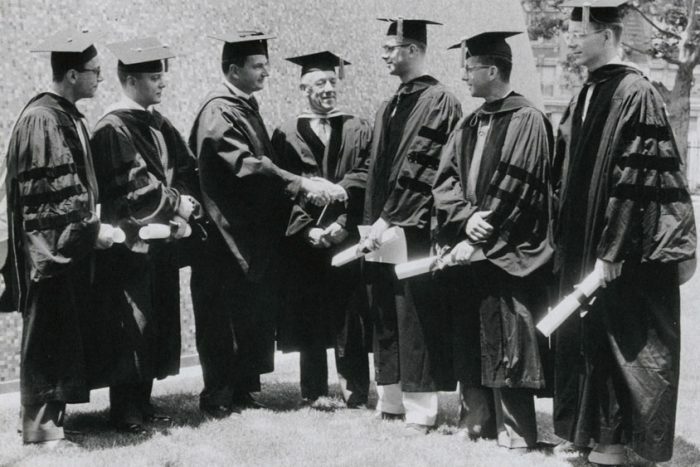 In 1955, The Rockefeller Institute expanded its mission to include education and admitted its first class of graduate students. It granted its first doctoral degrees in 1959. In 1965, The Rockefeller Institute became The Rockefeller University, broadening its research mandate further. 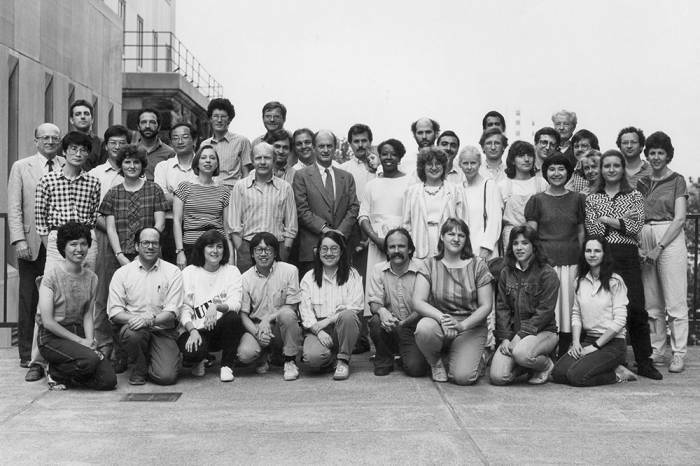 In the early 1960s, new faculty with expertise in physics and mathematics came to Rockefeller and in 1972, the university began its collaboration with Cornell University to offer graduate students an M.D.-Ph.D. program. Later, the Sloan-Kettering Institute became a partner in what is now known as the Tri-Institutional Program. Since its first Convocation ceremony in 1959, when five doctorates were conferred, the university has granted more than 1,000 Ph.D. degrees to students who have gone on to influential positions in academia, industry and other fields. "David's integrity, strength, wisdom, and judgment—and especially his unequivocal commitment to excellence—shaped the University and made it the powerhouse of biomedical discovery it is today," said Russell L. Carson, chair of the Board, and Richard P. Lifton, president, in a statement. The Rockefeller Oral History Project collects the scientific accomplishments and life stories of Rockefeller’s scientists in their own words.